“Master of the Splash Art” is a title given to Janddie Castillo by his peers due to his unique art style which he invented and coined – “Wisikism.” This technique melds realistic and impressionistic themes with the symphony of splashes, splatters and swiping strokes. He has successfully incorporated Jackson Pollock’s “drip technique” with Voka’s brush stroke style and color combinations to make an art style that is truly Filipino. Janddie’s love affair with the arts seems to have been preordained. His father, Nelson Marcelo Castillo, the “Father of Philippine Miniature Paintings” was Janddie’s first teacher and inspiration. While his father was the master of the miniature canvas, Janddie became the master of the miniature stones. The love of his life, Maricris Salazar Castillo, was an avid art enthusiast who he was able to mentor into becoming an artist in her own right. Their union has spawned three beautiful children – John Clark, John Kent and John Wayne, which are all budding abstract artists. Just like any kid who grew up in the late 80’s, Janddie is an avid gamer and sports enthusiast who enjoys playing basketball during his spare time. Little did he know that his love for the game would lead to greater things. His splash style painting of one of his favorite PBA player Mark “The Spark” Caguioa of Brgy. Ginebra led to him being drafted by the Philippine Basketball Association as their official artist for their 38th Anniversary and thus was Janddie’s first one man show amidst the PBA’s constellation of stars – a dream come true for this die hard basketball fan. The same fiery competitive spirit Janddie brings to the hard court is the same thing he brings to the table and canvas during art competitions. Against the best of the best, Janddie rises to the occasion and delivers clutch performances. As a student he has been a finalist in the Shell National Students Art Competition for three straight years. In just his third try in the 2015 GSIS Annual Art Competition he was name a finalist among hundreds of the best artists nationwide. Janddie likewise cracked the top ten in the inaugural Batangas City Painting Competition. Another quality Janddie brought to the table with him from his years of playing competitive sports is having a game plan. 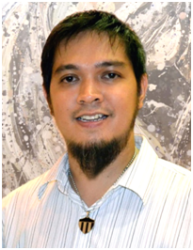 Using a solid educational foundation from his alma mater Far Eastern University (Bachelor of Fine Arts – Major in Advertising Batch 1995), he decided to hone his craft at an advertising agency. Once he was able to save enough, he founded Castlegrafix Advertising in 2005 which specializes in graphic design, digital and silkscreen printing and the creation of advertising materials. Janddie discovered that there was a void in the local art scene of Parañaque. Despite there being many talented visual artists in the city, no groups were active. Thus was the genesis of the Visual Artists of Paranaque (VAP). Drawing upon the vast experience he has garnered from his stints in various art groups such as the Art Association of the Philippines, Elcid Art Gallery Artists Group, Artquake Isms Artist Circle and Pintoreros Art Group, Artquatica Artists Circle, it was Janddie’s time to shine. Things have come full circle for Janddie. Once a bench warmer on the sidelines, it was now time for Janddie to assume to mantle of leadership and be the team captain. So far the halftime report looks very promising for the up and coming artist. The “Master of the Splash Art” has certainly generated some big waves in the art scene – two highly successful one-man shows, nineteen group exhibits and numerous art contests, trade fairs and workshops. Once a rookie to the art scene, Janddie has matured into one of the fastest rising contemporary artists of our time. His work now graces the walls of some of the most prestigious galleries such as the Village Art Gallery Alabang Town Center, Artasia Gallery SM Megamall, Galerie Francesca Festival Mall, Treasure Art Gallery SM Moa and Forest Rain Gallery Singapore. He has also been featured in such shows such as Drew Arellano’s Aha, Derek Ramsey’s Extreme Series Kaya Mo Ba ‘To and Joey De Leon’s Hayop Sa Galing. Things are looking up for Janddie. His second one-man show, Wisik, nearly sold out in its first week and is his most commercially successful exhibit thus far. Already, his third one man show is in the works and will have an environmental theme. So far there is nothing stopping Janddie from achieving greater heights. The ball is now in Janddie’s court.